Avicii's popped more EDM cherries than any other DJ in the world. Way back in 2k11 50% of the people who said they liked EDM really meant they liked "Levels" (or it's equally amazing counterpart, "Slevel"). And 3 years later he continues to create tracks that bridge the gap between EDM and pop. 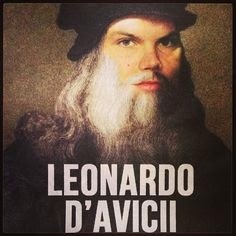 "The Nights" has that undeniable, classic-Avicii hook and combines the guitar from his 2013 track, "Hey Brother" with some Lumineers-style vocals and vibes. This track isn't just any old single, it's actually part of the FIFA 2015 video game from EA Sports (that's when you know you've made it: when your song is featured in FIFA #blessed). Fatboy Slim, Madeon and A-Trak are also all contributing to the FIFA 2015 soundtrack, which THANK GOD cause when I'm playing FIFA, I'm always focused on the lack of quality music, not on the fact that all my players have yellow cards because the only move i know how to do is slide tackle ( don't h8, i grew up in a house of all girls, my experience is limited).